As a member of the demonstration and research platform SmartFactoryKL we are actively involved in formulating uniform standards for Industrie 4.0. The platform's goal is to test innovative factory systems, in which the vision of Industrie 4.0 becomes a reality. We are working jointly with the other partners of SmartFactoryKL on a production line that demonstrates the practical application of the central aspects of Industrie 4.0. 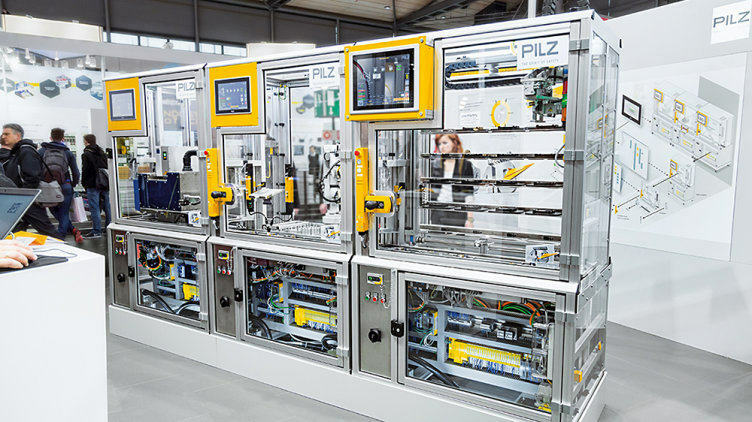 A storage module by Pilz is used to provide intelligent, automated storage for the workpiece carriers. 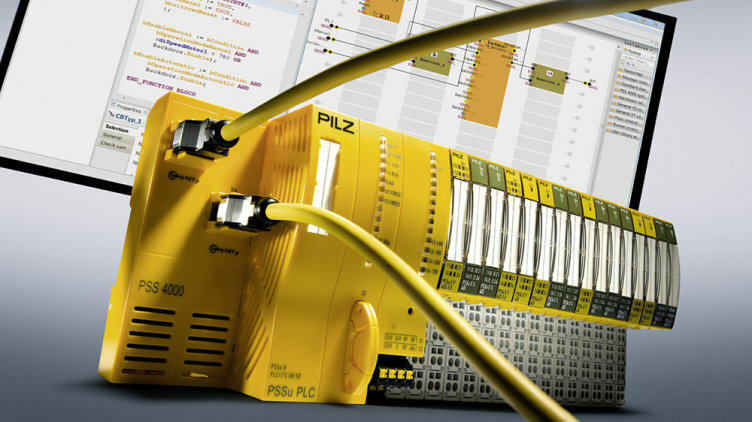 It uses control systems, various sensors, drive technology, network infrastructure components and operation and visualisation systems from Pilz. Industrie 4.0 is no longer just an initiative for us, it is already a reality in the production process. We are using an intelligent workpiece carrier, developed in-house. This speeds up and simplifies the process of populating the circuit boards and the soldering process. The workpiece carriers automatically find their way from the soldering shaft to the assembly unit thanks to a built-in RFID chip. 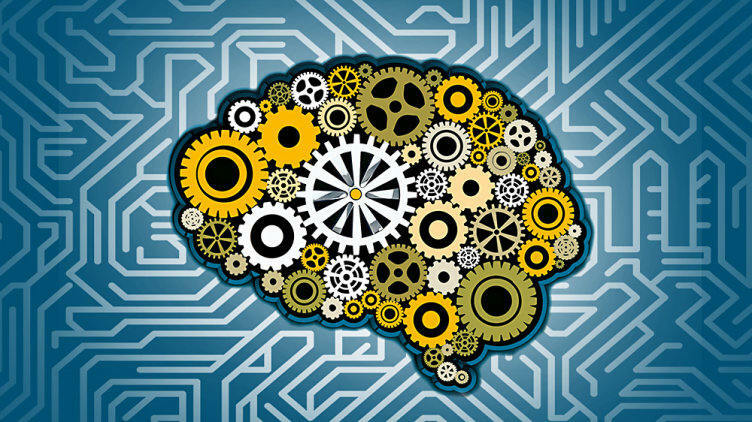 Machine data will be deliberately gathered and processed for production control. Evaluating this data will yield important information about changes in the condition of the machinery and levels of wear. Maintenance can then be carried out preventively. 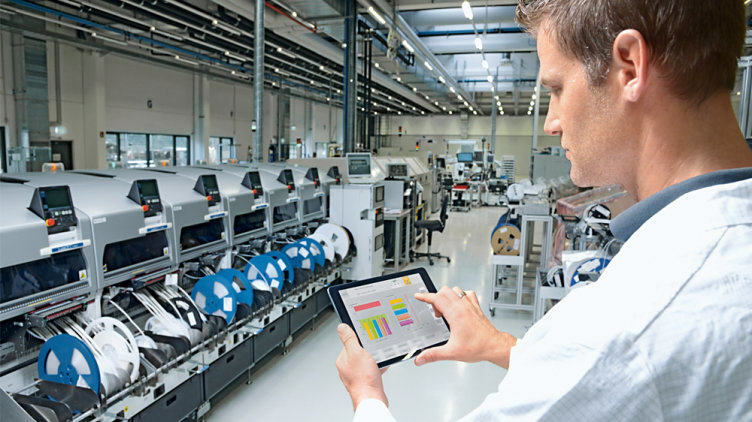 Predictive maintenance avoids malfunctions and downtimes. The latest versions of work documents will also be stored in a Pilz Cloud. All data and documents will then be permanently available in real time. All mobile end devices in the production process can then be called up from everywhere. Networked production increases the demands on IT security. That is why we are investing in a comprehensive security infrastructure to monitor all data traffic. The measures include a separate computer centre reflecting the latest standards. Anomalies can be picked up at an early stage through ongoing analysis of protocol data and all other data. 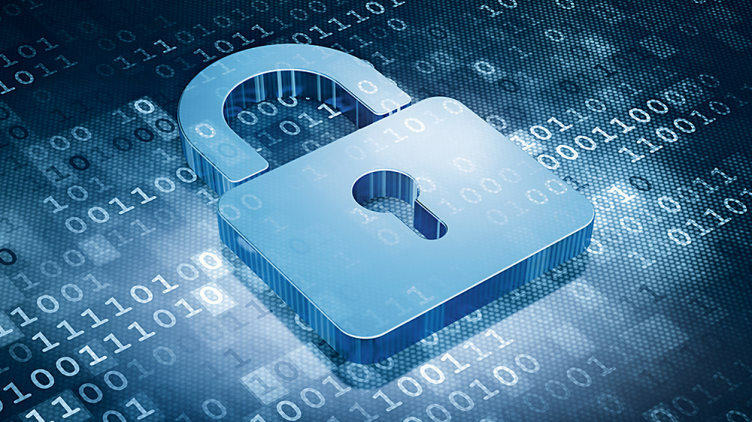 In addition, different firewall systems have been installed for individual production areas, so that the necessary security level can be individually determined by zone. Stoppages and safety risks are avoided, and know-how is protected. 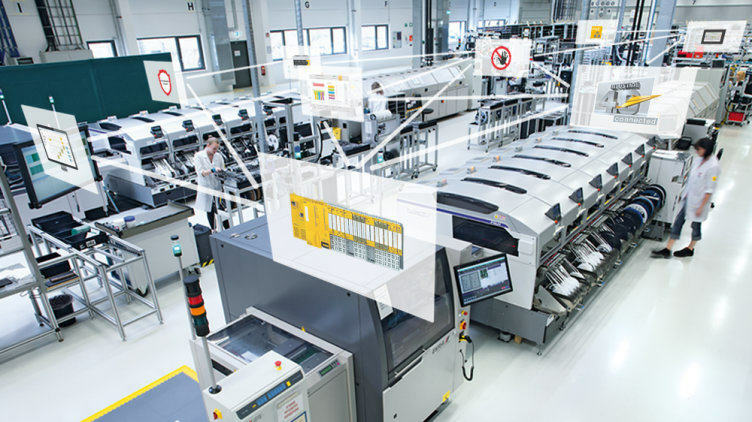 Cooperation, specifically between the Information Technology and Production Technology departments, which is so pivotal for Industrie 4.0, is another top priority for us. 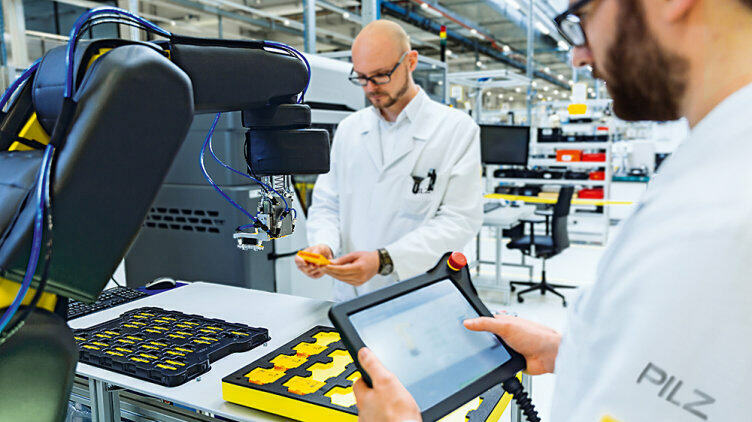 The specially created “Pilz Think Tank 4.0” brings together members of Production and IT and equips them with the necessary resources to plan and carry out joint projects for Industrie 4.0. Back to overview page for Industrie 4.0.